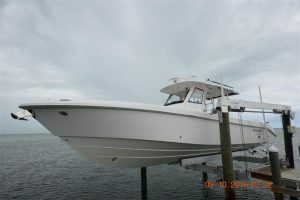 Check out this used 35' Everglades boat for sale in the Florida Keys! : Atlantic Yacht & Ship, Inc. Check out this used 35′ Everglades boat for sale in the Florida Keys!